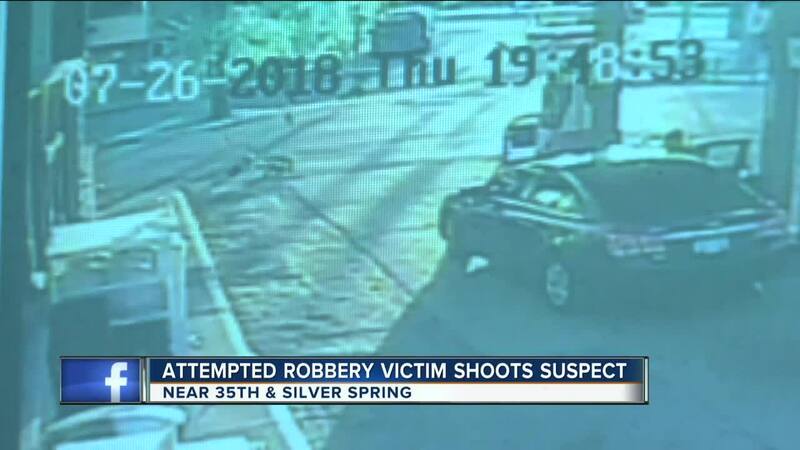 MILWAUKEE -- The concealed carry permit holder who shot a would-be robber at a Milwaukee gas station tells TODAY'S TMJ4 he acted in self-defense. The scuffle between the two customers was caught on surveillance video. The video shows a man who police said is 21 years old jumping on the back of the 33-year-old shooter. The 33-year-old is Thomas Chojnacki. The surveillance footage shows the 21-year old on top of Chojnacki and punching him after he tackled him to the ground. "He was determined to get that gun. I know if he got the gun, he would have killed me without a second thought," Chojnacki said. The video shows the two run from the area. Chojnacki later returns to the spot where his bike remained on the ground, followed by the 21-year-old. Surveillance footage then shows Chojnacki draw his firearm. He is seen walking around the parking lot with the gun drawn and pointed at the 21-year-old. "I didn't have no time to think. he just kept coming and my adrenaline was pumping," said Chojnacki. The younger man picks something up off of the ground near the older man's bicycle and begins to run away. The surveillance video then captured Chojnacki using the firearm to hit the 21-year-old on the back of the head. 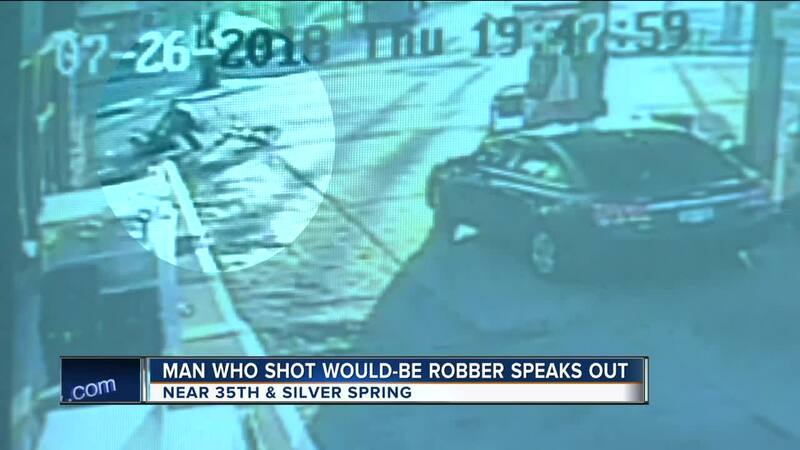 At that point, the surveillance cameras captured the 33-year-old shooting the 21-year-old in the rear. "I don't understand why he wouldn't stop, and then when he grabbed my wallet the only thing I could think of was my family and what would happen if he found out where I lived," said Chojnacki. According to Milwaukee Police, the 21-year-old faces possible criminal charges. Chojnacki said he was arrested and charged with Reckless Endangerment.